← FreeValley Publishing’s First Event! 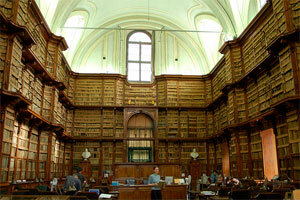 In looking back at this blog, there are just over fifty mentions of libraries. I won’t attempt counting the mentioning of books. I could mention the Big Reveal at last. I could encourage you to find a fun book group fast. Today I’ll end it with this note. May you get a chance to fill, then go through your full book tote! Seems to be my fortune, my luck – how sublime. Still have the first library book set from when I was three. May have added a few more, 10, 20… well, over 50. For me to frequently, physically use my library card. Allows me to get through more books in these busy years. Then again, give me a great reader instead and – wait, I digress. And now I’ll confess, I like my tablet, yes – it allows me to access more. To find something new in the realms of sci-fi, poli-sci, poetry, other works to explore. Grab a book: paperback, hardback, thick, thin – whatever the hook. A book, the right book, in hand is the best, richest gem. That makes my collection look minuscule. Like you, I’ve read books by all of those authors and more. Love, love, love this! I actually gasped. I made the impetuous decision when I got a kindle a few years ago to give away all of my books, including some that are irreplaceable. Within in a few months of having it, I realized that while a kindle has it’s place and is a great tool for traveling, it can never replace the heft, smell, or delicious feel of a book in my hands. Thankfully, I documented all of the books I had so I’m now working my way through second hand books stores in an attempt to replace them all. Talk about an expensive lesson. Thankfully, I didn’t get rid of all my children’s books. My first edition Harry Potters are going to much sought after some day! !